So what we have here is a popular Mayor, already re-elected to a second term, see both of his hand picked candidates for the City Council crash and burn. Both were long time fixtures in City government. Fresh blood is a good thing IMHO. 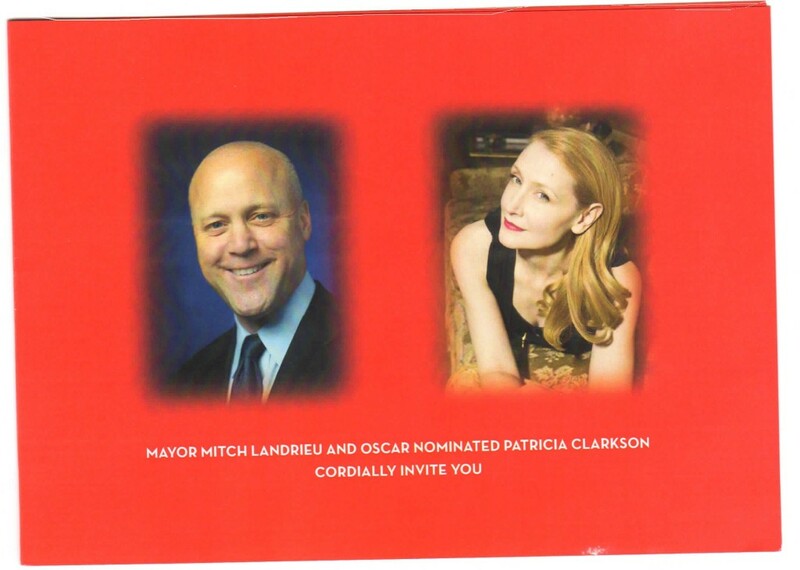 Could the 2014 NOLA City elections be a harbinger of things to come? Here in Mississippi Chris McDaniel is banking on exactly that. It’s as American as Apple Pie folks. Someone please ask Jackie Clarkson about how she and Kristin Palmer intervene on behalf of Palmer’s nephew Geronimo Giselon to get him probation in an armed robbery case when young African Americans go to jail for up to 99 years for the same offense…? Could the “Geronimo Giselson” fiasco have been the scandal that led Kristen Palmer to not run for re-election? That is, in addition to the scandal revealed by Times-Picayune and Richard Webster that revealed Kristen Palmer was doing the bidding of Stuart Smith and VCPORA because they got her elected and she was trying to funnel funds for noise ordinance enforcement to Wilma Heaton. Down here in the deep South when the layers of the onion are peeled back, some of the socio-political relationships involved take you to some interesting places including here. Why Steph predicted Nadine Ramsey would have a hard time in the runoff….. Author Douglas HandshoePosted on February 12, 2014 March 13, 2014 Categories SopTags 2014 New Orleans City Elections, Nadine Ramsey, New Orleans City Councilwoman Jackie Clarkson2 Comments on Why Steph predicted Nadine Ramsey would have a hard time in the runoff….. I heard about this article before it was written and one of the examples I was cited was not mentioned by name in Tyler Bridge’s piece. In it is the reason I think Michael Bagneris is running against Landrieu for Mayor and as such there is a kernel of truth in the criticisms. I found it very interesting that Bagneris even bagged a campaign contribution from Lakeshore, Mississippi, one of the unlikeliest of places one would expect an out of state democrat candidate for Mayor of NOLA to receive campaign ca$h. Graves is still full of it on Bermdoggle. I saw the Richard Sherman interview with Erin Andrews after the NFC Championship game and thought Andrews was in over her head. Even at its lowest levels, football is all about competition at its most Darwinian. You gotta have a mean streak and the right attitude to excel at it and the cornerback everyone now loves to hate has it all in spades plus some. Upheaval and chaos are a normal part of life….. It is those that do not roll with the punches that do not fare well in this constantly changing world. My family is wire tight but we are rendering assistance to some folks that are not so fortunate and it is consuming large amounts of time. I am uncertain as to when I’ll be able to resume a more normal blogging schedule. All that said when I am quiet I am normally up to something and that is also the case. I’ve have some quality dirt coming on one of the New Orleans Municipal election races. My mind is open to the possibility that we have more of this sorta stuff going on and I’ll be rolling that out come hell or high water. Stay tuned. Author Douglas HandshoePosted on January 6, 2014 March 13, 2014 Categories SopTags 2014 New Orleans City Elections, Slabbed6 Comments on Upheaval and chaos are a normal part of life…..
For starters we need to set the field and for that I link this article from Gambit which lays things out nicely. For the mayor’s race in particular let’s begin with this very recent article by Andrew Vanacore at the Advocate and this article circa 2010 by the T-P’s Bruce Alpert. The aftermath of Michael Bagneris not getting an Article III appointment to the LAED is one of the major drivers of Bagneris’ decision to run against Mayor Mitch. H/T Jason at AZ via Twitter.